It was obvious that Junebug was made with love, and that it reflected honest experience; the details of the town, the house, the people, the church, were all too accurate and painstaking to be done out of imagination. But despite this care, without Amy Adams this film would have been complete crap. I guess that could be said about a lot of movies with a transcendent talent in the lead; take that genius away and what are you left with? But that was glaringly obvious during each scene of this film, that no one in the room or behind the camera was near as talented as a side actress named Amy, who dominated and saved the entire project. It’s among one of her best performances, and roles, and so Junebug should be watched for that reason, but probably for that reason alone. Madeleine, an art dealer, meets George, a buyer, at an auction, and it’s love at first sight. The pair fall for each other immediately, get married extremely quickly, and begin their happy lives together; the future is bright. On a mission to sign a reclusive, untrained artist in North Carolina, Madeleine & George take a road trip down from Chicago to meet the man and see his paintings. While they’re in the area, they visit George’s family, who live nearby and who have not met Madeleine. She’s worldly, cultured, intelligent, sophisticated; everything that this down-country family sees as foreign and confusing. But George’s sister-in-law Ashley, who is also an expecting mother, welcomes Madeleine with open arms, and teaches her a thing or two about what’s important, and how special families can be. 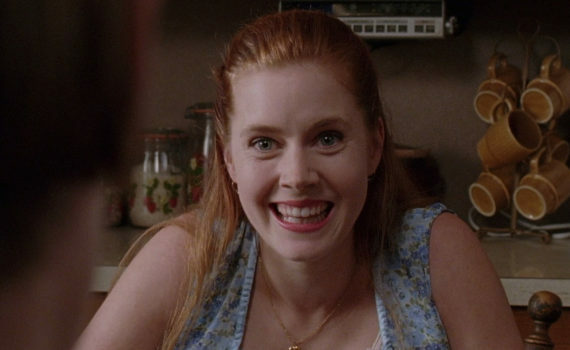 Seriously, if it hadn’t been for Amy Adams, I think I might have felt like turning Junebug off halfway through. I did feel like the film was made with love, they spend a lot of time focusing on the small town feel, which was great, but probably because they had absolutely nothing else to offer. Embeth Davidtz was embarrassingly bad, and Alessandro Nivola wasn’t much better. Neither was Ben McKenzie; did they intentionally cast actors who couln’t act to make Amy Adams seem just that much better? She was a revelation, and her career has only skyrocketed from there, and she’s just so special; I could watch her all day. But the rest of the movie; no. Bad pacing, bad dialogue, bad choices; I wish I could pluck Amy out and place her somewhere different, because I don’t want to remember her here.